Vanner and Prest Neatsfoot Oil restores and nourishes old and brittle leather as well as conditions and supples new leather. Neatsfoot Oil is ideal for leather that's been stored for a period of time or after prolonged use in rain. 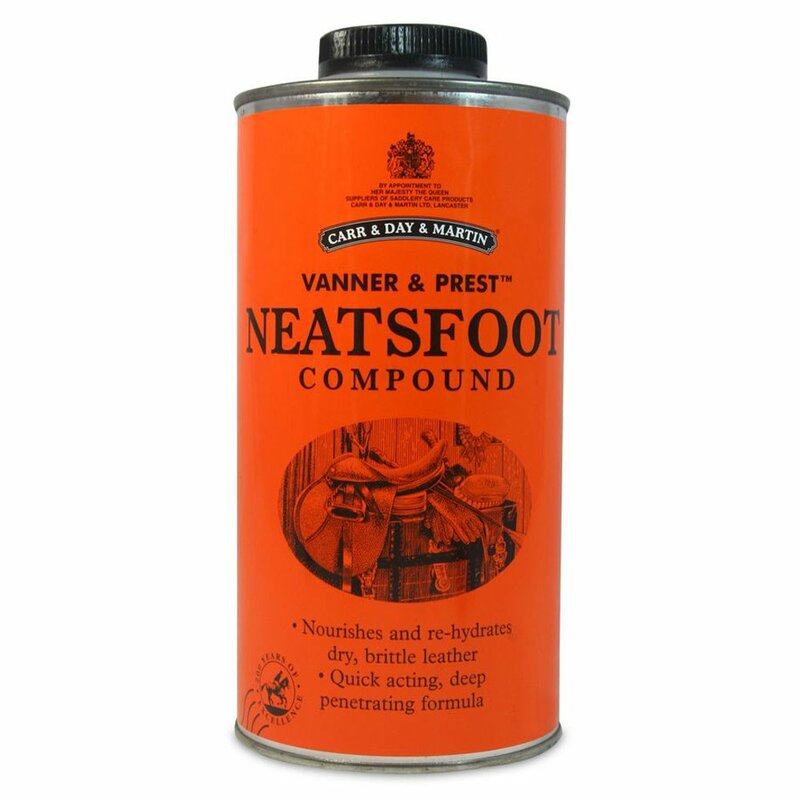 Vanner and Prest Neatsfoot Oil is a rich compound that penetrates deep into leather to stop it becoming dry and brittle whilst remaining kind to your tacks stitiching to ensure it does not rot. When applying neatsfoot oil ensure that your leather is clean and dry before applying and always allow the oil to soak into the leather. Re-apply if neccessary but always ensure not to over-oil. Vanner and Prest Neatsfoot Oil is not suitable for use on untreated leather, suede or nubuck. Always test on a small hidden area of leather before use.